We all know the thrill of receiving an invitation in the mail, and Very Inviting is a company that knows just how exciting that moment is. When guests lay eyes on your invitations for the first time, it is the first impression they have of your wedding or special occasion – it is important to get it right. Very Inviting is just the team to help. This Very Inviting website is one of the more recent builds for Web Marketing Angels. What we love about this company is their flexibility when it comes to design and printing options. There really is something to suit everyone. Are you after something unique, designed especially for you? You might already have a design in mind or have a theme that matches your personal and distinctive style. If this is the case, then Very Inviting’s Couture section is just for you. 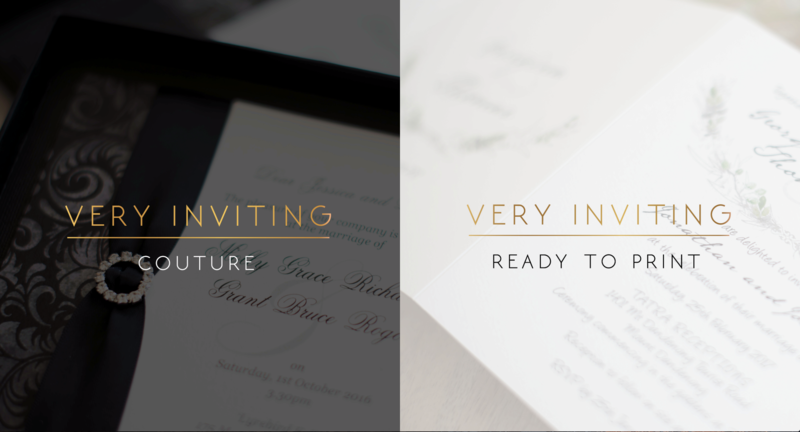 The bespoke design service is all about the creative process, with the design team working with each customer to personalise their invitations. 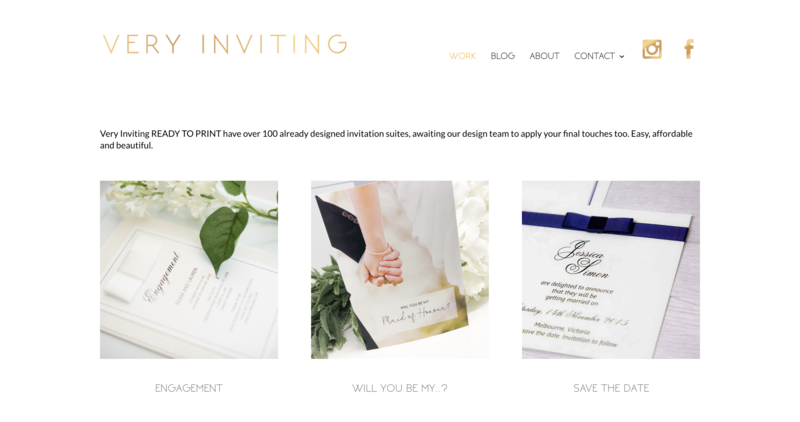 This service is at the heart of Very Inviting – designing a truly one-off invitation package for weddings, birthdays or milestones inspires them every day. The couture invitation design service is not just about printing. There are many additional design options, such as foiling, letterpress, velvet lamination, white print and embossed overlays, to name just a few. If you have simplicity in mind, Very Inviting also offers a ready-to-print option. 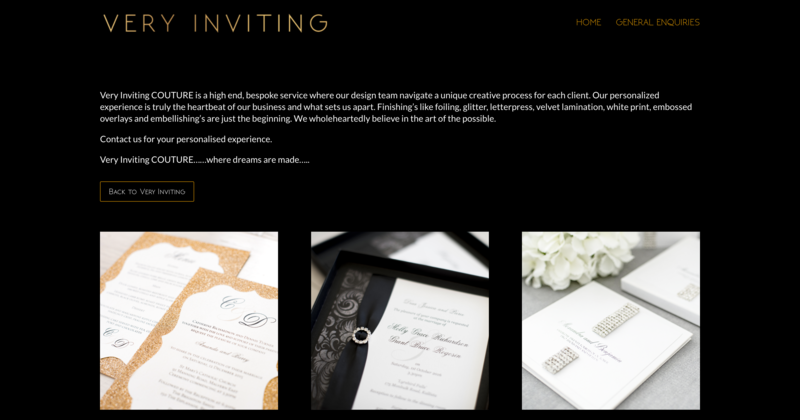 But don’t be deceived, this service includes over 100 gorgeous invitation suites that have already been designed. All you need to do is customise with your details and order the print package. The designs are as stunning as the service itself is practical and cost-effective. You can order everything you need at the click of a button, including invitations, bonbonniere labels, seating plans and thank you cards. At Web Marketing Angels, we know when a business is passionate and great at what it does. Very Inviting’s new website design is simple, but the amazing work speaks for itself. Do you need to organise invitations and themed printing for your wedding or special event? Very Inviting can help, whatever your wishes or budget. If you like the look of this new website, contact Web Marketing Angels today and boost your digital footprint.